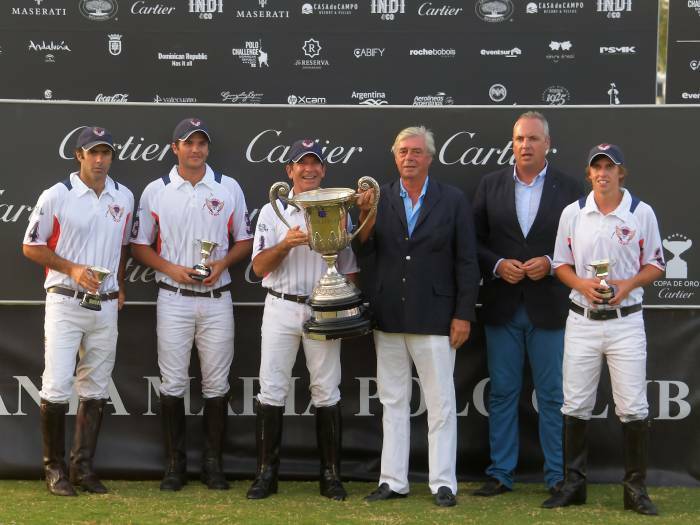 In the final of the most important tournament in continental Europe, the 45th INDI International Polo Tournament, Dubai claimed the Cartier Gold Cup after defeating Ayala Polo Team by 12-7. 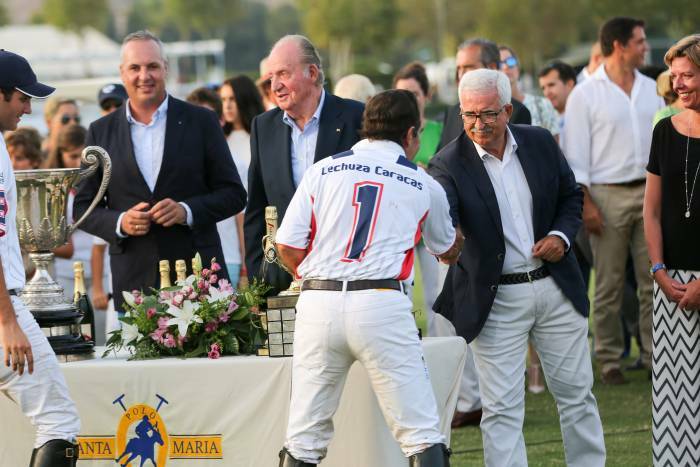 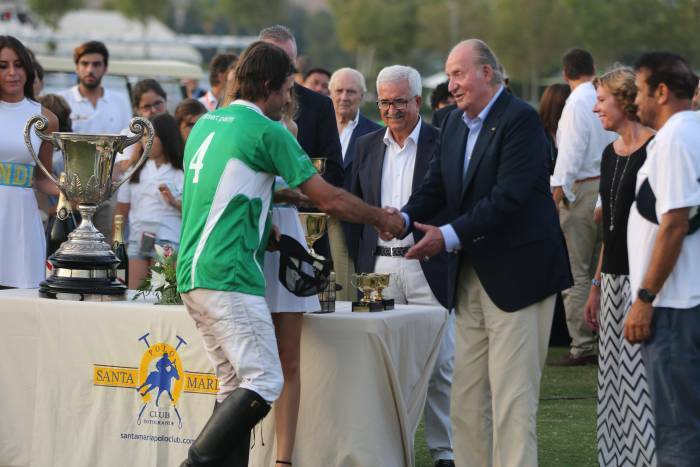 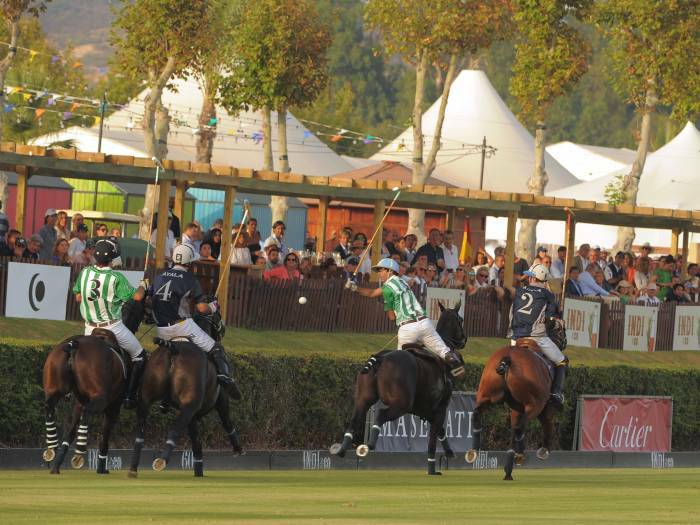 Dubai won the title for a second consecutive year after a thrilling match at Santa María Polo Club in Sotogrande. 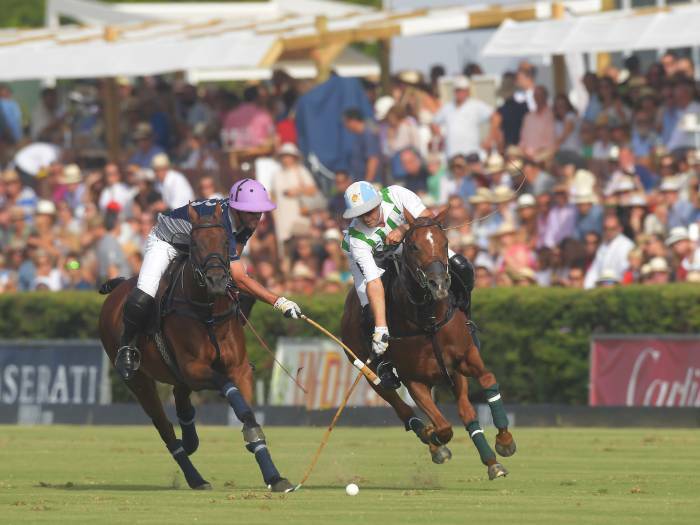 It was a very hard-fought final, with both teams working hard to gain the upper hand. 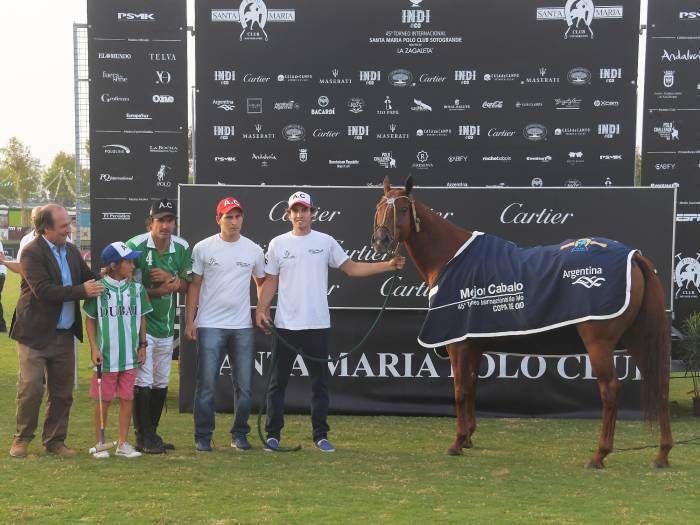 The match was tied until the fifth chukka when Dubai (Rashid Albwardy, Santiago Stirling, Alejo Taranco, Adolfo Cambiaso) claimed a three goal advantage; they held their ground in the last ten minutes of the match and emerged victorious. 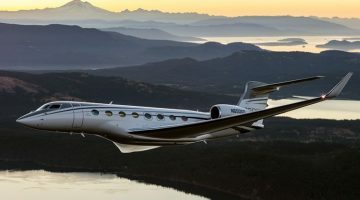 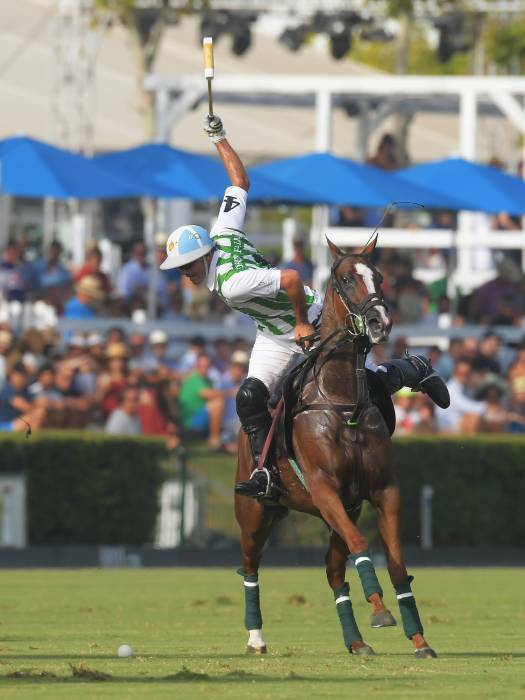 Adolfo Cambiaso, Dubai’s leading man and the best polo player in the world, was not able to finish the match; he suffered an injury which forced him to leave the field in the last three minutes of the game. 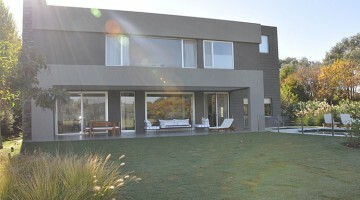 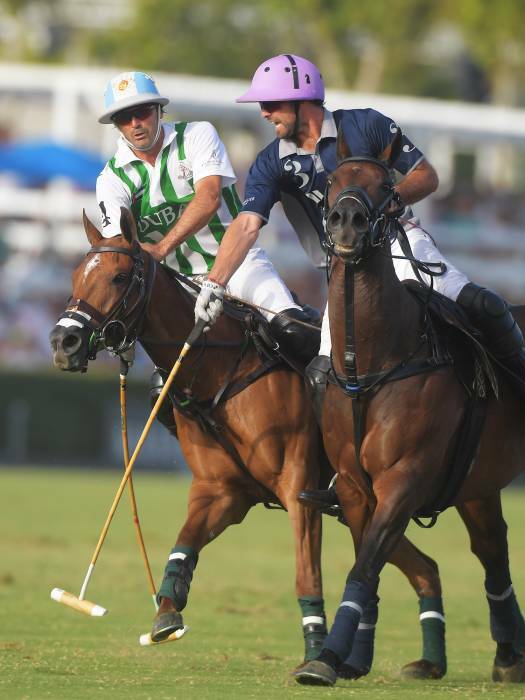 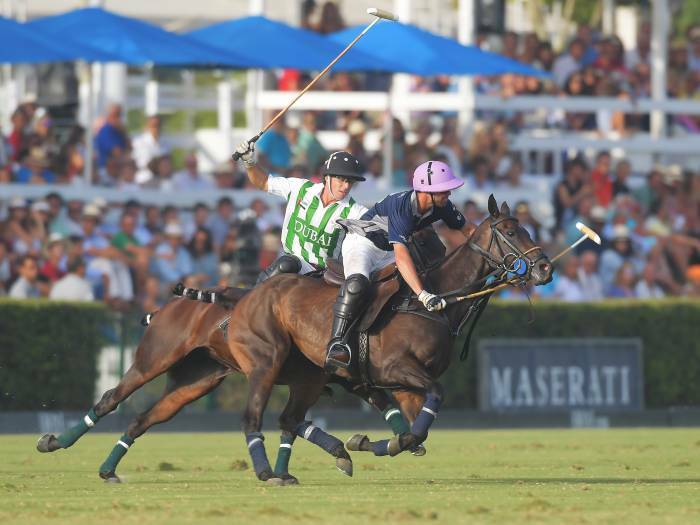 Cambiaso was replaced by La Dolfina teammate Juan Martin Nero. 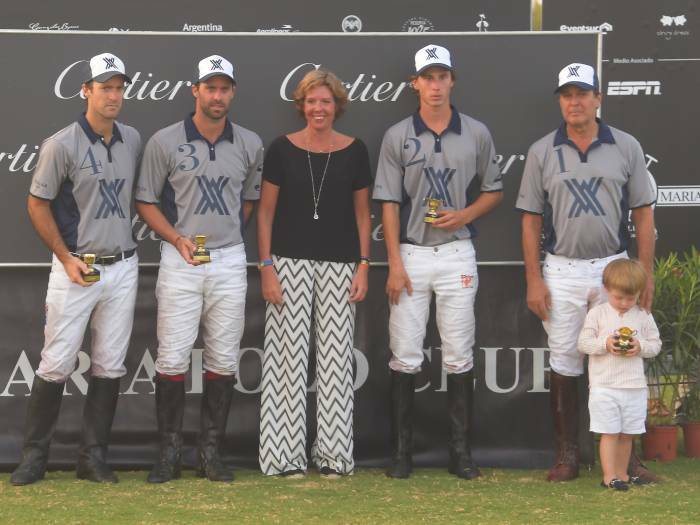 Cambiaso was the top scorer of the match, scoring nine goals. 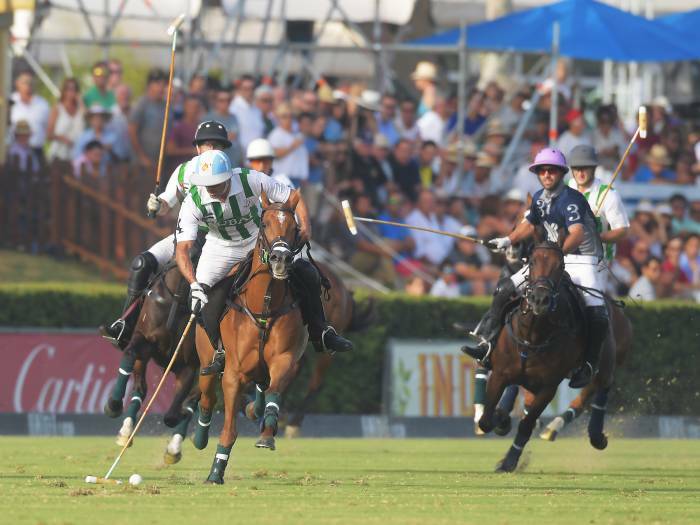 Dubai worked well as a whole, blocking most of the plays Facundo and Nicolás Pieres attempted against them for Ayala. 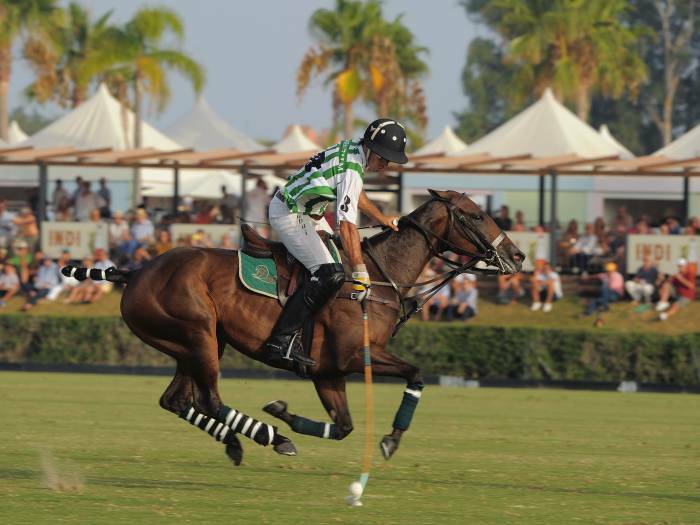 Ayala was a great rival but, despite their efforts, they were not able to overcome Dubai, who managed to reclaim their 2015 title. 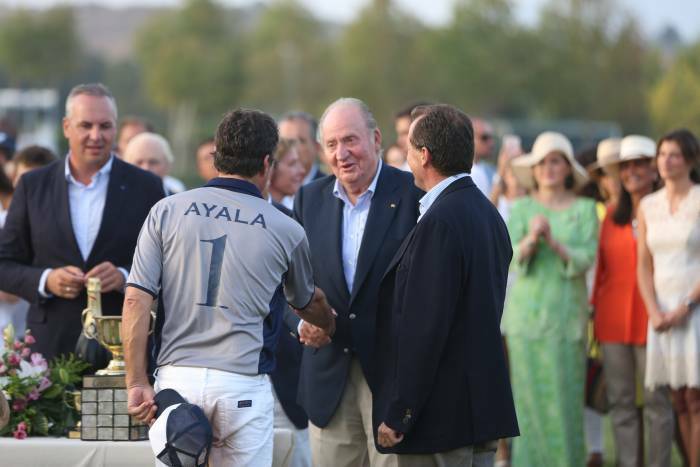 The fantastic organisation only lost one game this season, curiously against Ayala. 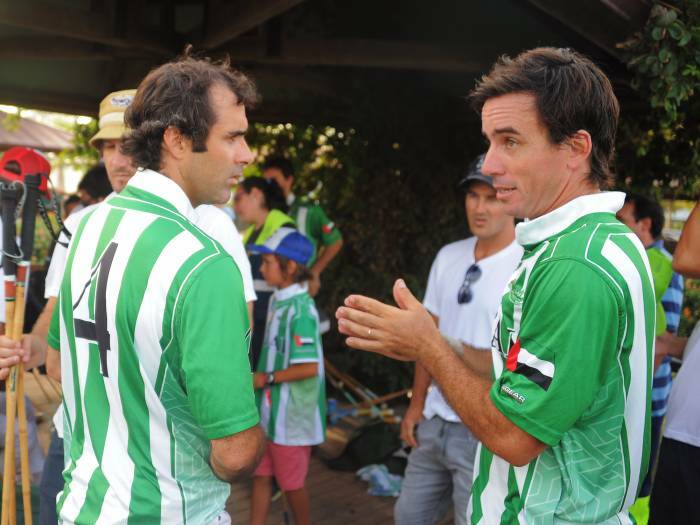 Facundo Pieres was Ayala’s top scorer, with four goals. 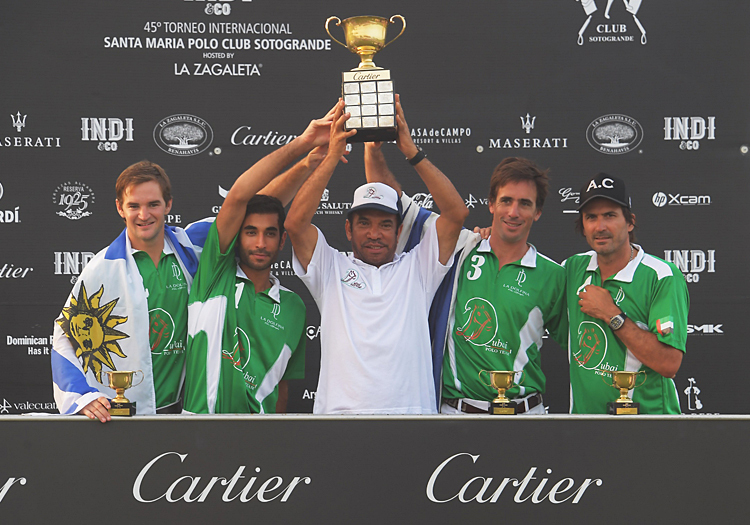 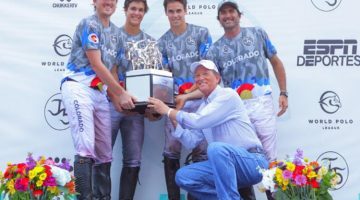 Dolfina Primicia, played by Adolfo Cambiaso, was chosen as BPP of the final and Adolfo Cambiaso was named MVP of the match. 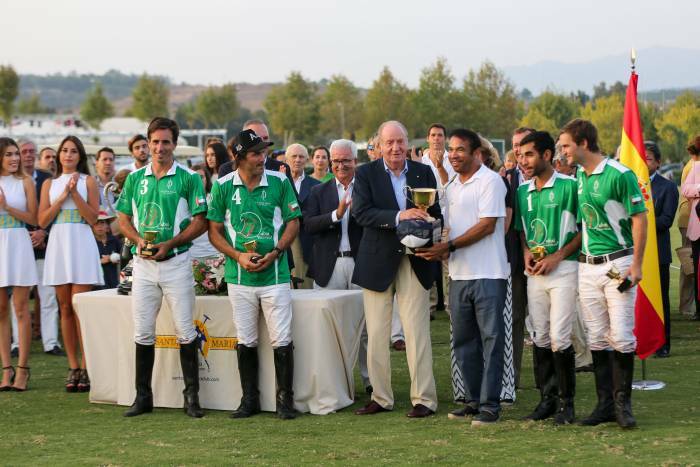 The Subsidiary Cup, played before the final, was won by Lechuza Caracas. 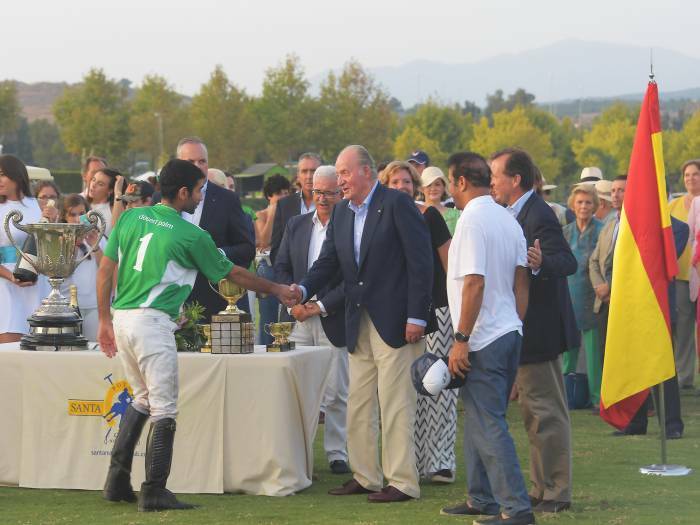 The Venezuelan team defeated Dos Lunas A&G Banca Privada 10-8.
vorheriger Artikel Altai-Himalaya wins 10th Genghis Khan Polo Cup! 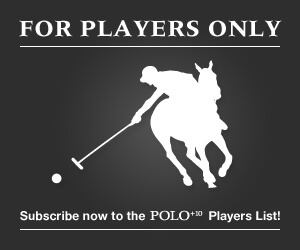 no suprise there. 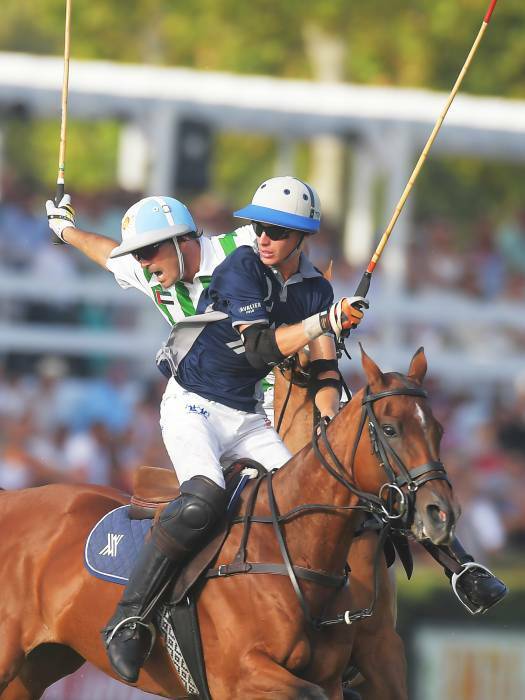 Cambiaso is definitely the best player in the world.